Stop by our Scholastic Book Fair September 14 - 21, 2018! Students may visit during their P.E. time. Parents may visit during lunch time or on September 18, 2018 from 5:00 PM - 6:00 PM. Please join us for our curriculum nights. Door prizes and free shirts will be given. 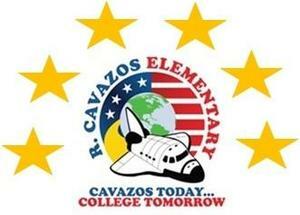 Attached you will find a copy of the State of Texas 2016-2017 School Report Card for Raquel Cavazos Elementary. Visit the Alliance Food Planner website for healthy tips. We are proud to be part of the Alliance for a Healthier Generation and the Let’s Move! Initiatives to help our students and staff lead active live styles which interns create healthier minds.